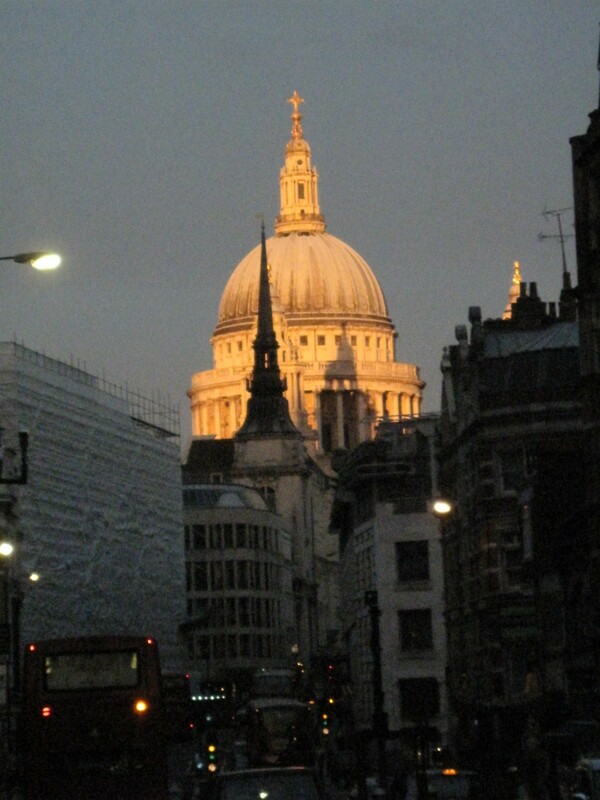 This was taken at sunset from Fleet Street with St. Paul’s, nearing a five year restoration project, illuminated with just the setting sun. Must happen rarely, even employees of Goldman Sachs were taking pictures of the view. Down in Battersea overshadowed by Richard Rogers’ Montevetro is the beautiful Georgian church of St. Mary’s. It is said that JMW Turner painted some of his riverscape studies of light from the vestry window of the church. He lived in a terrace house across the river in Chelsea, which can be seen from the churchyard, and was rowed over everyday by his servant in order that he might paint. “Turner’s Chair”, in which he sat to paint, is now one of the chairs in the sanctuary of the church. If you like innovative modern architecture this is the place to be. Buy an apartment here if you have the means and enjoy a view of the O₂centre on the opposite bank of the Thames every morning while you eat your cornflakes. 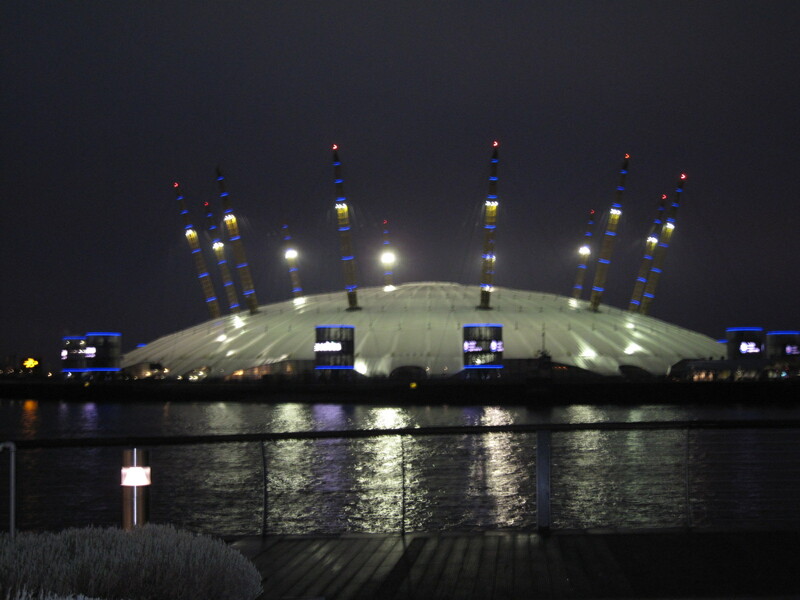 Originally built for the Millenium now the most popular music venue in the world. Taking its name from when whaling ships were serviced here, this pretty lock connects to the Thames a dock so large that in the 1930’s Cunard’s passenger liners were moored up here. Now one of the better places to live in Rotherhithe. Just across the River Thames from St. Paul’s Cathedral stands this house. Built in the days of Queen Anne it is the last survivor of the elegant houses that fronted this length of riverside. Its cellars are the remains of The Cardinal’s Cap a Tudor Inn. A plaque on its wall states “Here Lived Sir Christopher Wren during the building of St Pauls Cathedral here also, in 1502, Catherine, Infanta of Castille & Aragon, afterwards first Queen of Henry VIII took shelter on her first landing in London”. According to Gillian Tindall’s excellent book The House by the Thames both are false claims, but hey! What a view.